On earth as it is in heaven. First, and above all, you have the Lion of the tribe of Judah. Here below there is more than one reason the lion is called the ‘king of beasts.’ It is fearless, majestic, powerful, and a natural wonder of the animal kingdom. We should cultivate a few of these traits and be content, unafraid in our opinions, and fearless of all attackers. The roar of the lion is truly one of the most marvellous sounds of nature. Consider the effect on other animals when they hear this thunder from miles away. The lion has gained respect, a long life, and walks with a simple step, and a singular purpose. He apologizes not for his convictions, and is resolute of mind. If you are the lion, the den is a fearless place. If you are a Daniel, the lion is an ally. If you tempt the lion and enter his cage at the zoo, he will probably tear your head off, and not lose one wink of sleep. God’s word is equally majestic and shows no favoritism. It slays rebellion, proves atheism as nonsense, and gives rest to the weary. There is the den of thieves, whereby men attempt to steal that which belongs to God, and displace the Creator from His own kingdom on earth as well as all creation. God knows all about the criminal mischief and grand theft, and yet offers grace to misfits. Why people scorn such love is beyond me. Pantherus Leo is strong, unassuming, and walks where he wills, and he owns his stride. Sobriety of mind is a rare quality, and we need not seek permission to hold this view or that. We should be equally comfortable alone with our thoughts, or in the company of others, as the lion’s personality does not change; our yes should be yes, and our no should be no. A lion in captivity is a poor sight, but many benefit. He was made to roam miles upon miles, so too is the mind of man capable of soaring, seeking, walking, watching, waiting, and of course writing. Blogsville is a wide open prairie, where friends are made, ideas traded, food shared, and encouragement is freely given. Some appreciate the lion while others do not. I am particularly not fond of the hyena, so to each his own. 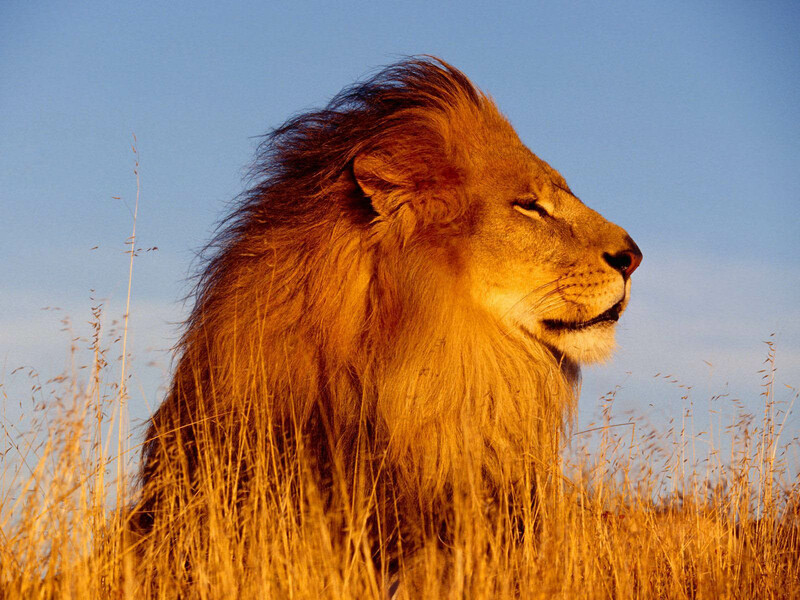 The color of the lion is perfect with hints of yellow ocher, browns, sienna, and goldenrod among others. We also write with colors; some enjoy writing in shades of grey, others lily-white, others black, but we personalize our work with a very private and unapologetic palette. The speech of a lion? He can be intimidating and only loud when necessary. He does not speak just to be heard. King of beasts. Yep, looks that way. The mane, the shape of the body, the gait, the teeth, the eyes, and yes the diet. If I truly appreciated this creature in all its splendor, I suppose it would be wise to take into consideration the volume of my words when being in the den, at the same time never being fearful of speaking the truth. For similar thoughts, please see the post ‘The male lion,’ listed under the Nature category. Thank you kindly for reading, and adding value to this post. No fair, you said it better than I did!! I really liked this, and felt the fear of this too. yes, I do. but being only a poodle I’m respectful. yes, Daniel, an angel closed the mouths of the lions in the den so they didn’t kill our brother, but these same lions killed those who wanted to see Daniel die. A childhood memory for me is hearing the echo of the roaring lions in the Great Cats house at the zoo. Our Lord is the Lion of the tribe of Judah – yes! Yes, He will roar someday, out of Zion I believe the Word says..
Good one-poodle. I’m not sure though. I like your word earlier ‘fear,’ as in hearing the roar, yet you are unafraid that he will hurt you, but as in ‘awe,’ the way we are supposed to fear the Lord. yes, they will lie down together! and I agree with what you said somewhere about the Lord’s love for the creatures He has made. about fear, yes, awe and respect. though I have known actual fear of Him when I fell and couldn’t find Him. He was chastening me. too much to say here. horrible fear to wake me from sleep. still recovering from loss of assurance. but even then I remembered to seek Him with all my heart – that He told us (me) to, that then I would find him, so I did, and I believe that I have, but am still shaky. I think this happened to help others with these things. Superb analogy and fearless thinking. And this: “…we personalize our work with a very private and unapologetic palette.” Very needful. I realize that I tend to be too compliant, too apologetic, to “hey everybody, let’s get along.” Or as Gary Smalley put it, more of an “otter” than a “lion”. People like you help me balance. Found ‘The Lion’s Den’ today. I love the magnificent lion and hope to paint him one day. A popular photo is of him and a lamb lying down together. But the Bible mentions lion and wolf. There must be an interesting reason. . . God bless you, dear friend.